In her response on behalf of Democrats to the State of the Union address, Stacey Abrams employed more of the over-the-top rhetoric that has come to characterize political opposition in the age of Trump. After laying out her grievances against the president and offering few concrete policies, Abrams’s speech pivoted to a harangue intended to perpetuate the liberal and media-driven myth that there is an epidemic of voter suppression going on in this country. While Abrams said she “acknowledge[d] the results of the 2018 election” in Georgia, in which she lost the governor’s race by over 50,000 votes, she then claimed “efforts to undermine” the right to vote are ongoing. A close look at the actual facts is in order. Abrams claimed that officials are “making it harder to register and stay on the [voter] rolls.” However, Georgia was in full compliance with requirements of the National Voter Registration Act, which made it easy to register by mail, at the DMV, at state public assistance offices, and at numerous other agencies and locations throughout the state. It never has been easier to register to vote in Georgia. In fact, by the time of the election that Abrams lost three months ago, the state had 6,935,816 registered voters, the most in Georgia’s entire history. Turnout rates kept pace with the rise in registration. Abrams’s own website cites an article from ABC News that said minority voters in Georgia’s governor race made up 40 percent of total turnout. And in an all-time high for the state, 3 of every 4 of those minority voters were black. This is an astonishing turnout, given that the 2017 census estimate for Georgia shows that blacks make up 32.5 percent of the population, and Hispanics make up 9.6 percent. Those percentages include residents under 18, noncitizens, and other individuals who are ineligible to vote. In fact, minority turnout in 2018 surpassed minority turnout in 2014 by 4 percentage points. Abrams’ Fair Fight Action group also cites a statistic that shows she received the most Democrat votes of any candidate in Georgia in nearly a decade. No one was kept out of the polls—Abrams just couldn’t convince enough Georgians to vote for her, a truth she doesn’t want to admit. As for making it “harder” to stay on the voter registration rolls, Georgia uses a verification tool to check the accuracy of its rolls that is fully compliant with the National Voter Registration Act, something that also is required by the Help America Vote Act. 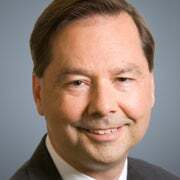 Ohio’s use of a similar process was approved by the U.S. Supreme Court last year in the case of Husted v. Philip Randolph Institute. In Georgia, registered voters receive an identity/address confirmation notice if they don’t vote for three years or the Postal Service indicates they have moved. If they fail to return this notice, they are marked as “inactive” on the registration list. Voters are removed from the voter rolls only if they fail to vote in two more general elections after the notice was sent out. And voters listed as “inactive” are still able to vote if they show up at their polling place; anyone improperly removed is still able to vote with a provisional ballot. Abrams and her cohorts also complained that Georgia was “discriminating” by investigating voter registration applicants whose submitted information did not match that in other state databases. But there was nothing nefarious about verifying the accuracy of registration information. If someone registered to vote at an address that was completely different from the address listed on his or her driver’s license, Abrams’ position means she would want the state to ignore this discrepancy, no questions asked. That makes no sense. This verification process is so reasonable and commonsensical that Barack Obama’s Justice Department precleared it in 2010 as nondiscriminatory, when Georgia was still covered under Section 5 of the Voting Rights Act. That section required Georgia to get the approval of the Justice Department before it could implement any new voting law or procedure. In any event, none of these registrants would have been prevented from voting because all voters, even those who aren’t on the registration list, are allowed to vote through the provisional balloting process. Despite these safeguards, Georgia suspended the “exact match” requirement prior to the 2018 election after liberal advocacy groups sued to prevent the state from taking any steps to check the accuracy of voter registration information. Apparently, those groups want inaccurate, error-filled voter rolls. In 2014, then-Georgia Secretary of State Brian Kemp opened online voter registration for the first time in state history. To make registration even easier, Kemp also launched a smartphone registration app. If Kemp, now governor after defeating Abrams, is a vote suppressor as she claims, he is surely one of the most inept ones in history. Why? Because that is in sharp contrast to her endorsement of noncitizen voting in her statement on the PBS show “Firing Line” that she “wouldn’t oppose” noncitizen voting in local elections. 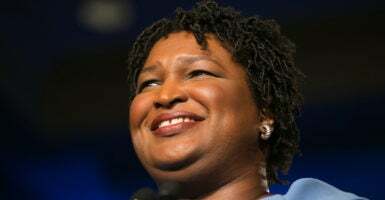 In a campaign speech, Abrams claimed that the “blue wave” of Democrat voters would be comprised of both the “documented and undocumented.” Undocumented is the politically correct, liberal term for illegal aliens. Abrams’ propagation of the voter suppression myth used to condemn the efforts of states to safeguard elections does a disservice to our democratic system. In her remarks last Tuesday night, Abrams said, “The foundation of our moral leadership around the globe is free and fair elections.” While that is true, the false claims that she and other liberals have made about election reforms intended to fix security vulnerabilities are what damage perceptions of America’s voting system. We need to support election officials in the lawful performance of their sworn duties. It is time to unite behind a vision of American voting as free, fair, and secure.